Update 1: This post is now available as a PDF download! You can get it here. If you’re looking for answers, this is the guide for you. If you want to be a successful content marketer, it’s not enough to do what you think is effective—you need to objectively measure whether what you’re doing is effective or not, and then take the appropriate corrective actions. Many marketers don’t understand what’s necessary in measuring and analyzing a content marketing campaign—and even if they do, they may have trouble interpreting the data. In our 2016 What Works in Online Marketing survey, 40% of respondents (114 out of 284) indicated that they were not sure about their ROI from on-site content marketing efforts, and 43% (123 out of 289) weren’t sure about ROI from their off-site efforts. Clearly, many marketers find it challenging to measure ROI from their content marketing efforts. When you’re first starting out, measurement and analysis can be intimidating, but data measurement and analysis are objective and complex. I’ve written this guide to help you better understand the importance of measurement and analysis—and how to do it effectively for your content marketing campaign. Before I dig into the details of measurement and analysis, I want to explain the importance of analysis in the first place. Why is this phase of the process so important to the success and health of your campaign? First, analysis can help you define, set, and eventually measure your content goals. Defining success. There are many possible types of goals your brand can set for its content marketing campaign, and there’s no “right” or “wrong” way to go about it. For example, you could focus exclusively on building a better reputation for your brand, and work on getting featured in high-authority publishers. Or, you could focus on customer retention and drive your efforts toward your help and support content. You could focus more on generating traffic, or getting more conversions, or just reaching a wider social audience so you can attract more followers. How can analysis help you figure out what goals you want to set? When you’re first starting out, most of your goals will be speculative, or based on preliminary forms of research like market research or competitive research. But once you get rolling, you’ll have access to far more in-depth and brand-specific pools of data, which can tell you exactly how your content is performing. Here, you’ll be able to see where your strengths and weaknesses are; for example, if you see that your conversion rates are at an all-time high, but your traffic is lackluster, you can adjust your goals to focus on attracting more traffic. You’ll also have a baseline for comparison here; if you know you’re getting 1,000 visitors a month with your current strategy, 1,200 next month is a pretty realistic target. Goal criteria. When you’re setting goals to measure and analyze, you’ll want to keep some important criteria in mind. The SMART criteria is always a good standby here, even though there’s some variability in what “SMART” can actually stand for (Wikipedia says they stand for specific, measurable, achievable, relevance, and time-bound). Your goals should be specific, so you can have an objectively comparable number for your data. They should be measurable, obviously, so make sure your goals are relevant to something you can measure in your analytics platforms. Make them achievable and relevant, so they’re actually going to matter for your brand, and set a limit when it comes to timing (give yourself at least a month to make any kind of meaningful progress). Once you know your goals, you can establish what you’re actually going to measure—and how you’re going to measure it. Ongoing development. Remember that the process of setting and achieving goals is an ongoing one. It’s something that should be revisited, modified, and adjusted as you gather more information about your campaign. For example, you might start with a goal of increasing traffic, and consistently move your targets up as you build more and more momentum, but as you reach a plateau, you may have to shift your focus or rein in your ambitions to hit more feasible, meaningful targets. Experimentation in marketing is vital to the long-term success of your campaign. If you keep things too consistent or predictable, your campaign will end up becoming stagnant. Experiments, however, are risky; conceptually, you might identify them as strong opportunities for development, but in practice they may see very different results. Analytics is your tool to find out which of your experiments are working and which ones aren’t. Depending on how you approach the problem, you can set up an AB test to compare two variations of a campaign independently. For example, you might launch two eBooks at a similar time and in a similar way to determine which one is more appealing to your target audience. But you might also decide to simply change something about your campaign—such as targeting a new niche or ramping up the frequency at which you publish new content. In these cases, you’ll need to compare large swaths of data with others from a different time period. In any case, analytics is the only way to know for sure whether one of your new strategies is working or not. Otherwise, you’re shooting blind, and you could end up wasting your time and money on strategies that aren’t effective. If you’re gathering enough data, you can use analytics to strategically generate new ideas for your content campaign. For example, let’s say you’re evaluating how effective various pieces of content have been in terms of attracting links and holding user interest once they’re on-site. You’ve developed a series of infographics that seems to be generating a lot of attention, and you’ve also written a new blog post about the history of the pogo stick that has seen a huge influx of visitors. Knowing these two trends, you could come up with a hybrid piece—like an infographic about pogo sticks history. Looking more broadly, you could also identify key opportunities based on the types of traffic you’re attracting or other metrics that inspire you to pursue another line of development. For example, let’s say you notice there’s a surprising number of people from Twitter visiting your site, but you don’t use Twitter for promotion very much. You could take advantage of this by increasing your efforts on Twitter, but also catering to that audience by writing snappier, Twitter-optimized headlines. Peruse data sets you wouldn’t normally think about, and see if there are any outliers that stand out to you or give you inspiration to try something new. 1. Measure everything. First, make it a point to measure everything you possibly can. Fortunately, we live in a digital age where most systems will track your performance for you. For example, if you syndicate your content on Facebook, Facebook will happily tell you how many impressions, views, and click-throughs it received, sparing you the trouble of any formal setup process. However, other systems require some degree of preparatory work; for example, before you can start taking advantage of Google Analytics, you’ll need to install a tracking script. Even if you have specific goals or specific platforms in mind when building your campaign, it’s a good idea to measure data with the broadest funnel possible—it’s always better to have more data than you need than to come up short or overlook something. 2. Measure consistently. Some marketers set up their analytic systems with the best intentions, believing they’ll be dutiful about checking in regularly. Others only set up tracking systems because that’s what they’re told to do. In both cases, it’s common for marketers to neglect establishing a pattern of consistent measurement. You need to be consistent in terms of when and how you measure; you’ll want to check in at the same time every month, or every two weeks, or whatever you decide, and you’ll need to be consistent in terms of what data you evaluate. This consistency will help keep you accountable for your goals, but will also allow you to have an “apples to apples” comparison, giving you more accurate insights and conclusions. 3. Choose the right tools. There are hundreds of marketing analytics tools available on the market these days, and new ones seem to be emerging all the time. Many of them are quite good. Most of them could probably help you. But only a handful of them will track exactly what you need them to track in a format that’s convenient and relevant for your brand. It’s going to take some time for you to run evaluations and figure out what the best platforms are for your brand; thankfully, most platforms offer free trials so you can figure it out quickly. Google Analytics is going to be a major help to you (and I’ll be exploring it in detail a bit later), but there are a number of other strong tools to consider. I’ll be exploring several of these in the final section of this guide. 4. Relate everything back to goals. Your data is only useful if you’re capable of tying it back to something significant for your campaign. The conduits you’ll use most often here are your goals. So let’s say one of your blog posts has attracted 20 percent more traffic than your other posts; how has this helped you reach your main goal? What can you learn from this increase that can help you reach your next goal? It sounds redundant, but data without purpose has no meaning. Frame everything in a context that leads back to bigger-picture thinking. 5. 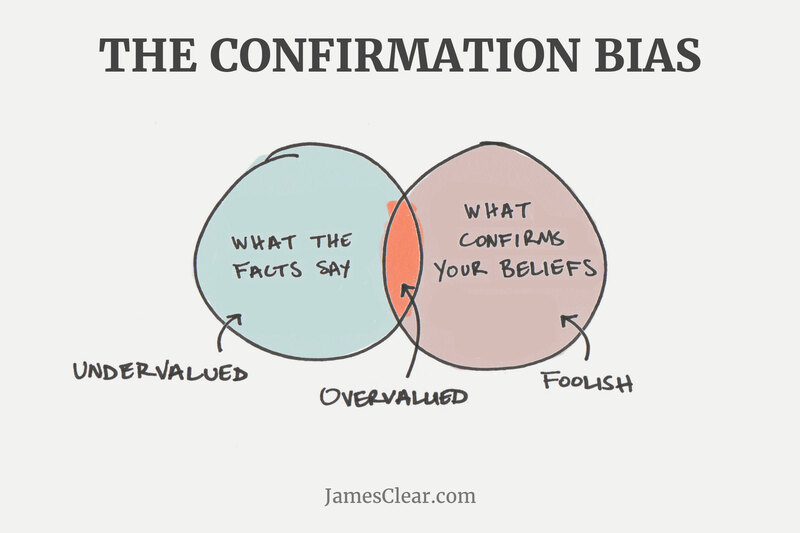 Avoid the temptation of confirmation bias. Confirmation bias is a common and deadly threat to the average content marketer. The idea is pretty simple; we tend to seek out and/or overvalue information that already falls in line with what we believe. This is true even if we’re not fully conscious of our own beliefs. How does this relate to content marketing analysis? Let’s say you’ve launched a new strategy that you believe will increase reader engagement with your brand. With this belief in mind, you cruise your data sets, looking specifically for information to justify this belief. You see a handful of extra comments from readers and voila—your belief is (unjustly) verified. However, you may neglect other important indicators, such as bounce rates, exit rates, or social shares, that contradict that evidence, because you weren’t looking for it. Try to remain as neutral as possible when running your analysis, hard as it may be. 6. Make your insights actionable. This is the hardest step for many marketers. They’ll be able to give you lots of numbers, objective takeaways, and maybe even plot a few graphs to project the data, and those insights will all be true. But what are you supposed to actually do with those insights? Remember, your data is only useful if it leads to some kind of change. Aim for all of your insights to connect to some formal action. 1. Traffic. Content marketing is an inbound strategy, and one of its biggest goals is to bring more people to your website. Depending on your area of expertise, or how you’re developing content, you may attract different types of traffic or attract it in different ways, but traffic is still a vital measure for the health of your campaign. For example, posting content off of your website with links pointing back to it will generate referral traffic, which you can use as a way to gauge off-site reader interest. Similarly, you can use social traffic to gauge your audience’s content interest on various social media platforms, or organic traffic to see how your content affects your search rankings. You’ll also be able to evaluate your traffic qualitatively; who’s coming to your site, and why? 2. Conversions. There are dozens of online marketing strategies, but almost all of them boil down to one goal: increasing conversions. A conversion is a successful user interaction—such as a user making a purchase, completing a form, or downloading a piece of content—and for most companies, this translates to revenue (or at least a measurable value). In some cases, conversions will be a way to value the traffic that your content earns, and in others, you’ll be using conversions to track your content’s success at converting readers. 3. Popularity. You’ll also want to measure the popularity of your content, in ways that transcend traffic or conversions. Some of your articles are going to be more popular than others, earning more shares, comments, engagements, and inbound links; obviously, there’s something you’ll want to learn from these outstanding pieces. You’ll also need to learn which of your strategiesor topics are ineffective, so you can weed those out of your lineup. Popularity can’t be tied to an objective value, the way that conversions or traffic can, but it’s an important qualitative measure to help you improve your content marketing efforts. 4. Brand awareness. Brand awareness is a notoriously difficult data point to measure, and there’s no universally agreed-on way to measure it. You could use social listening software (such as Hootsuite, SproutSocial, or SocialMention) to see how often your brand is mentioned on social media channels, news articles, or blogs, or you could conduct a wide-scale survey to see who has heard of your brand before and who hasn’t, but these are indirect measures of a qualitative characteristic. You won’t find “brand awareness” in any online analytics dashboard, but it’s still important to gauge how effective you are in promoting your brand. 5. Consumer engagement. Engagement is similar to popularity in that it can’t be tied to an objective value, but it’s a great way to gauge the health of your campaign. Getting more engagements means you’re selecting good topics, covering them appropriately, and most importantly, keeping yourself highly relevant to a specific target audience. Comments, interactions, tweets, shares, downloads, and discussions are all various forms of engagement you can look at to tell you how well you’re doing. 6. Reputation. Brand reputation is another finicky measurement, but fortunately this one has a handful of practical, objective measurements to point you in the right direction. For example, you can measure your site’s domain authority to determine how “authoritative” Google probably views your website. You may also want to go deeper by determining how users feel about your content specifically, such as conducting reader satisfaction surveys or asking for feedback. I’ll be digging deeper into all these topics in the next few sections, but I wanted to give you the high-level view for context before we start measuring and analyzing each of these data points. The next two sections will be focusing on the concept of ROI, boiling complex data points down to objective measurements, and on qualitative measures of campaign effectiveness, which are beneficial but are tough to reduce to concrete takeaways. For this brief section, we’re going to be focusing on the fundamentals of ROI, and to do that, we’ll be focusing on objective, quantitative data as much as possible. First, let’s define ROI—it’s an acronym that stands for “return on investment,” and most marketers will tell you it’s one of, if not the most important metric you need to know to determine your campaign’s effectiveness (in content or for any other strategy). If your ROI is positive, you’re doing something right – keep working to improve it. If your ROI is negative, you know that something isn’t working and it needs to change. Content affects many areas. One of the reasons why content marketing is so powerful in the first place is because it doesn’t rest alone in any one area. It affects your domain authority and the amount of virtual real estate your website has, it facilitates social media marketing and email marketing, and can be used for countless other channels—it can even be used for client retention in addition to or instead of client acquisition. Not all content effects are easy to measure. Some content benefits are terribly difficult to quantify. An increase in brand reputation can increase your conversion rates and may push users further along the buy cycle when they get to your site, but you can’t quantify these things with any degree of certainty. It’s a slow building strategy. It takes a long time to see the true benefits from content marketing. As you grow your strategy from nothing, you’ll almost certainly start with a neutral or negative ROI, which can only become positive after months or even years of effort. Despite these weaknesses, understanding your ROI as well as possible is crucial, so I still highly encourage you to keep it as one of your top priorities for gauging campaign success. When it comes to quantitative data for your content campaign, there’s no better general tool than Google Analytics. It will help you track almost any data point you can imagine related to your content or your site, and it’s pretty easy to use. It even integrates with a number of third-party dashboards. Best of all, it’s completely free—all you need is a Google account, and you can grab a tracking script to place within the code of your site. There may be other platforms that can serve your specific needs better, or ones that are easier for you to use personally, but Google Analytics can work for almost anybody, so it’s the most universal platform I can offer or suggest. Throughout this section, I’ll be exploring the different areas of Google Analytics you can use to evaluate your content marketing campaign, where to find it, and what your key takeaways should be from the information you find. I’ve organized this section in broad categories of data—such as “traffic” and “conversions,” so even if you don’t plan on using Google Analytics, you can still learn about the key metrics you need to measure and why they’re so important. I’ll be exploring alternative and complementary tools in the final section of this guide, so keep these metrics in mind for those as well. First, let’s take a look at traffic, the number of people who visit your site. Obviously, the more people who visit your site, the better—more incoming people means you’ll have more opportunities for conversions, and even if they don’t convert, you’ll at least build more brand familiarity. One of the primary functions of content is to attract new users in the first place, and you can use the Acquisition section of Google Analytics to see how well your content performs this function. Find the Acquisition section on the left-hand side of the dashboard, and click into the “Overview.” This will give you a detailed breakdown of how many visitors have come to your site during the time period you’ve selected, and where those users came from. There are four main potential sources of traffic here (you may also see paid advertising, or other peripheral routes), all of which tie back to your content in some way. You can view this from a high level, or click into each individual traffic “channel” to get more detailed information. Organic Traffic. First, take a look at your organic traffic. This is a measure of all the traffic your site has received from organic searches in search engines like Google and Bing. You can break this down by search engine, and look at the keyword used for each search (though Google doesn’t provide much keyword information through Google Analytics anymore), but the big number to pay attention to here is the number of sessions you received. If you’re using content as part of an SEO strategy, this is the most comprehensive measure you can use to gauge its effectiveness. The more authority and visibility online you generate through your campaign, the higher this number will climb; just keep in mind this figure is also influenced by your SEO efforts (the lines are blurry here). If you see this number stagnating or dwindling, you’ll have to readjust the keyword focus and authoritative strength of your content. Referral Traffic. Your referral traffic will give you another measure of your content’s specific influence. Referral traffic measures people who came to your site by clicking on an external link. Since many of your external links will be built in content you’ve submitted to off-site publishers (if you’re following my guide to link building), you’ll have clear insight not only into which publishers are sending you the most traffic, but what types of topics are generating the most visitors. Be sure to drill into this one, as it also includes referral traffic from links independent from your content marketing strategy. Take inventory of what parts of your off-site content strategy are succeeding or failing, and make adjustments accordingly. Social Traffic. Next, you’ll want to take a look at the social traffic you’ve been able to generate. As you might imagine, this collects all the inbound traffic you’ve received from your social media channels, such as Facebook, Twitter, and LinkedIn—and you can even look to see specifically which channels are generating the most traffic. From there, you can click into each individual platform and see what links syndicated on those platforms are responsible for what share of traffic you’re getting. It’s a fantastic way to gauge how your content is reaching the different segments of your social audience. Clicking a link from a mobile social media app such as Facebook, Twitter, or LinkedIn (phone apps usually don’t pass referrer information). Clicking a link from a secure site (https) that leads to a non-secure site (http). Watch out for this, because some major publications, such as Entrepreneur.com, use https. So, if your site isn’t secure (http), then any referral traffic you get from it will actually show up in the “direct traffic” bucket in Google Analytics. Organic search (some of it, anyway). A study by Groupon found that up to 60% of traffic being reported as “direct” was actually organic search traffic. It’s not yet known why some organic search traffic is dumped into the wrong bucket, but it’s worth knowing about. There’s no easy way to tell how many users who accessed your site directly did so because they’ve been exposed to your content in the past, but there are ways to evaluate how many visitors are new versus how many have been here before—I’ll be touching on that in a later section. Don’t write off direct traffic entirely, but it’s usually not as closely related to your content strategy as these other channels. This is actionable intelligence because it shows you which specific external assets/media are generating the most traffic, and to which specific pages. Furthermore, when compared to conversion data, it’s possible to see which external publishers drive the most conversions, allowing you to refine and optimize your future outreach efforts. Log into your Google Analytics account and select your website’s profile. Click “Add Metric” under the “Metrics” section, then add “Visitors” and/or “Unique Visitors.” Feel free to experiment with adding other metrics here as well, such as bounce rate or pages / session. Visit your dashboard and you’ll see the report, or visit the “Customization” tab and then select the custom report name from the left side to see it any time. Referring to the image above, I can see that I get a lot of traffic from Forbes articles that I’ve published; particularly ones that relate to social media and how to drive traffic to your website. More content on Forbes that covers these angles could be helpful in my content strategy. Traffic is all well and good, but what is that traffic doing once it gets to your site? Are these people who are buying products from you, or just passersby who kicked the tires and moved on? Conversions will be able to tell you the difference, and it’s important to know exactly how many you’re getting—and how much they’re worth. 1. Defining conversions. First, you need to know what qualifies as a conversion and what doesn’t. The potential definition is pretty broad; any type of meaningful user activity could be theoretically counted as a conversion. By most standard definitions, a conversion would be considered to take place during a monetary transaction, such as a purchase, or an action that could potentially lead to such a transaction, such as signing up for a webinar or filling out a form. 2. Measuring conversions. Conversion opportunities are nice, but of course you’ll need to measure how often those conversions are made. Your site may have a feature in the backend to measure and analyze your conversion opportunities—especially if you use a common content management system like WordPress—so feel free to use that. Otherwise, Google Analytics has a useful section called Goals that can help you track almost any kind of conversion you can imagine. Head to the Admin tab of your account, and you’ll find Goals as one of the main options. Here, you’ll be able to create a separate “Goal” for every conversion opportunity you have. Google is super helpful, and has a number of templates you can choose from, including “contact us” and “place an order,” which are two common variants. Follow the instructions here—Google walks you through every step of the process. Then, you’ll be able to track all your Goals in the same section, or access Goal data on individual report pages. For example, you’ll be able to see how each segment of traffic (referral, organic, social, etc.) converts compared to the others. You can calculate exactly how much one of your conversions is worth. This is more straightforward for some types of conversion than it is for others. For example, if you have historical data on your customers’ past purchases, you can easily calculate the approximate value of a customer purchase. However, if you count a conversion as a lead, you’ll need to factor in the expected lifetime value of a client, your close rate, and other variables that could influence the full equation. The more precise you can be, the better, but an estimate is okay. 1. Conversions as a measure of traffic value. First, you can use your conversion rate and conversion value to estimate the approximate worth of each new visitor. For example, let’s say you have a conversion rate of 2 percent with 1,000 monthly visitors and a $1,000 conversion value. You’d get 20 conversions, with a total value of $20,000. Therefore, the average value of a visitor to your site is $20. You can apply this math however you like; you can look at your site’s “average” visitor from any direction, or drill down to visitors from one specific channel or another (as long as you use the appropriate data sets for your variables). 2. Conversions as an indicator of content success. Don’t forget your content has the potential value to encourage conversions through calls-to-action. You can also measure specific Goals related to the calls-to-action your content supports, and use that information to determine how effective your content is at generating new conversions. Accordingly, you may need to segregate your conversion efforts, measuring different Goals for each dimension. It may also be beneficial to work on conversion optimization as a strategy separate from content marketing, though the quality of your content (and your use of calls-to-action within it) can affect your conversion rates. Between knowing your traffic volume, conversion rates, and conversion value, you can sufficiently estimate the approximate value of your content marketing strategy—at least from a quantitative perspective (I’ll get into qualitative measurements in the next section). But don’t forget the other side of ROI—the amount you’re investing in your campaign. Agency & contractor spending. If you’re working with an agency or any contractors, calculating your costs will be simple. Agencies and contractors vary wildly on price due to different levels of expertise and different niches, but for the most part, their services are reduced to either an easy-to-understand monthly rate, or project-based payments. Set these costs aside, and combine them with your other expenditures (if you have any) to project a final cost for your content marketing efforts. Employee time and cost. When you’re doing some of the content marketing work yourself, or you’re relying on your full-time staff members to do the work, it’s easy to forget that these forms of effort are costing you money as well. If you have a full-time employee dedicated to content marketing, all you’ll need to consider here is their full-time salary, but it gets complicated when different team members are investing different amounts of time at different rates of pay. Do your best to reduce these hours of invested time and effort into a quantifiable metric—and include your own time as well (here’s a handy calculator to help with that). Tools and other resources. Finally, you’ll need to include the monthly costs for all the tools, dashboards, and services you subscribe to in order to make the magic happen. Think carefully here: Do you use any analytics platforms, syndication platforms, management tools, collaborative tools, or communication platforms exclusively for content marketing? Include their monthly fees in your total expenditures. Collect all these sources together to estimate how much you’re spending on your content marketing efforts. This is a good opportunity to assess where you’re spending the most time and money, and you may find that you pay more than you thought you did. Now that you have all the information on how much your content campaign is objectively returning to you and how much you’re spending, you can estimate your campaign’s total quantitative ROI (that is, your ROI before taking qualitative measurements into considerations). Take the average value of a conversion (along with your conversion rate), and use that to estimate the average value of a site visitor. Tally up all the visitors in a month that were influenced by your content strategy, and calculate a total value of those visitors. Compare this against what you spend in a month, and voila—you’ll have a rough figure for the ROI of your campaign (not including qualitative benefits). If your ROI is positive, congratulations! You’re doing a fine job, and you should keep it up. Pay special attention to the areas of your content strategy that are performing best—such as topics, syndication channels, or formats that are especially valuable—and keep refining those. If your ROI is steady or negative, you have some work to do (unless you’re just starting out with a new campaign). Take a critical look at where you’re underperforming, specifically, or where you’re overspending, and work to make corrections for subsequent months. You may need to aggressively experiment to achieve a positive change, but the worst thing you can do in a negative-ROI situation is nothing. There is one additional caveat to considering your ROI, however; you need to remember there are less measurable, qualitative benefits to your campaign as well. Now, we’re going to turn our attention toward the qualitative benefits and effects of your content marketing campaign. These are just as real, and just as effective for promoting your brand, but they’re not as numerically or as directly measurable as the quantitative factors we used to formulate ROI. Earlier, we focused on the Acquisition and Goals tabs in Google Analytics. Now, we’re going to be spending some time in the Behavior area, where you can gain insights about how users interact with your site. Our first stop is evaluating your brand presence. How effective is your content when it comes to promoting your brand and making it more visible to a wider audience? Answering this question can help you find weak points or strong points in your campaign; are there certain areas lagging behind others? Are there key opportunities for development? On-site distribution. You produce a lot of content, but how much of that content is currently getting seen or interacted with? Which topics are getting more attention than others? We can find the answers to these questions in the Behavior tab. Take a look at the Site Content section, and pull up the full report by clicking “All Pages”. You’ll see a detailed list of every page of your site that has received at least one visit within the specified timeframe, by default ranked in order of traffic (Pageviews). Odds are, your homepage gets the lion’s share of traffic, which is represented by a slash (/), but if you drop down, you can take a look at how your actual content stacks up against each other in terms of popularity. Off-site presence. Next, you’ll need to take a look at your off-site presence. You can do this through the Referral traffic custom report you created in the last section. What are your top sources for new traffic? What kind of reputation benefits is your brand getting from its affiliation with these sources? From which sources do you see the best conversion rates? Brand mentions. You can also get a gauge for your current brand presence by seeing how often your brand is mentioned on social media. For platforms like Twitter and Instagram, you can easily see what users are mentioning you, or you could also do an in-app search for terms specifically related to your brand. But if you want to go the extra mile, you could use social listening software to help you figure out exactly how, when, and in what capacity people are referencing your brand. Brand awareness is loosely tied into your overall brand presence; after all, the more prominent your brand and content are, on-site and off-site, the more aware people are going to be of your brand. But we’re not just looking for the reach and value of your content here; we’re trying to figure out what people know about your brand. For example, you might have content on a dozen high-authority sites generating thousands of visitors to your site every month, but do those visitors know what your brand actually does, or how it fits into your industry? Are they going to remember your brand after they give your site a once-over? Brand awareness is tricky to measure. You can use indirect forms of measurement, such as how many new followers you’re able to attract or how informed your leads seem to be when you collect them, but if you want to be as accurate as possible, your best course of action is to conduct a survey. Ask people if they’ve heard about your brand, how they heard about your brand, and their subjective opinions on it. This can help you gauge how effective your content is at making your brand both positive and memorable. Earning lots of traffic through quality content is a great first step, but your long-term goals should be focused on building better customer relationships and keeping them around for as long as possible. As such, reader retention should be just as high a priority as new reader acquisition. Followers. Any social media marketing expert will tell you that the “follower” and “like” counts of social media profiles are somewhat overblown statistics for success. Just because a user followers your brand on a social media platform doesn’t mean they’re actively viewing what you’re posting, or that they have any meaningful connection to your brand. Chasing followers is often meaningless to your bottom line. However, measuring the growth of your followers (and future retention) based purely on the attractiveness of your own efforts is a good gauge of your campaign’s strength. If you find your follower counts slowing or falling backward, take a good look at the content you’re promoting, and whether your content’s quality and engagement has taken a nosedive. Fortunately, this is an easy metric to track and follow. Subscribers. If you use an RSS feed, you can also measure the growth of your subscribers much in the same way that you measure the growth of your social media followers. Barring that, you can use your email newsletter subscribers as a gauge here. Pay careful attention to any spikes or valleys in your data—are they coincidentally timed with any new changes to your strategy? Are there any specific subscriber tendencies that you can optimize your campaign for? Users won’t subscribe unless they’re truly interested in your content. Repeat traffic. Your volume of returning visitors should also suggest something about the sticking power of your content. Head to the Audience section of Google Analytics to find this, and look under Behavior to find the New vs. Returning report. Here, you’ll see a breakdown of all your site users who are new to your site against who’s returning for a second or subsequent visit. You can also filter this report by other factors; for example, you can isolate social or referral traffic. You’ll want to be careful of the balance here; new users are good for your acquisition efforts, while returning users are good for your retention efforts. Which one you choose ultimately boils down to your unique company goals. Loyalists and evangelists. You can also subjectively view your content’s impact on people by observing how they behave in relation to your brand. For example, do you have any loyalists, who appear to like or share almost everything you post on social media? Do you have any brand evangelists who mention your brand often and recommend it to others? Both these types of users are indispensable for your content campaign in terms of further promotion of your material, but are also good indicators that your content is making a significant impact. Likes, links and shares are all important indicators for your content’s effectiveness as well, for more reasons than one. These three types of engagements are quite distinct, but all of them share a commonality; they require a reader to acknowledge your content as worthy of being spread to more people, which is usually a good thing. In increasing order of value are likes (or “favorites”), shares, and links. A like simply requires a click, while a share requires a click and an inherent endorsement, and a link is a broader endorsement of that content which persists indefinitely. Shares are especially important because they allow your content to be seen by more people, and links are especially important because they directly correlate with increased organic search visibility, which, in turn, drives more traffic to your website. If your website is on WordPress, you can use my favorite social sharing plugin, Social Warfare, to not only place social share buttons on your posts automatically, but also provide you with a breakdown of share counts for each post on your website. You can monitor your likes and shares directly on their social media platforms. Take note not only of the types of content you produced, but when and how you syndicated them (for example, did you use a custom headline?). For links, you’ll have to use a tool like Open Site Explorer, Ahrefs, or Majestic, which allow you to list all the links you have pointing back to your site. This is especially helpful for monitoring what types of content earn the most links naturally. URLProfiler is another tool that I really like for content analysis. You can use it to create a list of URLs for every page on your site, and gather other metrics such as total shares for each URL, links for each, and much more. It outputs data in a spreadsheet so you can manipulate it to your heart’s content. So far, most of the qualitative metrics we’ve looked at have dealt with either a piece’s ability to attract clicks and brief interactions, or a campaign’s ability to retain readers. Now, let’s look at how your individual content pieces are able to hold a reader’s interest. These indications will tell you which of your pieces attract the most held interest, which is valuable because it leads to more invested customers/readers, and because it increases the likelihood of sharing and linking. Time spent on page. For any piece of content on your site, you can look at the time spent on page metric to determine how long the average user stays on the page. Obviously, this can’t tell you whether or not these users actually read your material, but it’s a pretty good indirect indication of reader engagement. For example, if you have a blog post that’s 10,000 words long and your average user only spends 45 seconds on it, it might not be very informative, attention-grabbing or engaging in the beginning. On the other hand, if your time spent on page is several minutes, you know you have a keeper. Discussions. Discussions are another good relative gauge of your content’s interactivity. You can artificially spur discussions by asking prompting questions, such as “what do you think? Let us know in the comments,” or by deliberately choosing a debatable or controversial issue. In any case, discussions about your work in the comments section or on social media are a good metric to gauge the influence of your material on your readers. Reaction scale. This is a highly qualitative measurement, since it will require you to read individual comments and interactions, then draw a conclusion about how those users feel about your content. The more intense reactions you get out of people, the more successful you can consider your content to be (generally). For example, a phrase like “nice post,” isn’t as intense as one like “OMG, thank you for this! Exactly what I needed!” Eliciting stronger reactions usually means you’ll attract more discussions, gain more visibility (especially through shares), and affect a larger percentage of your readership. Interactive elements. You can also measure your content’s interactivity by directly measuring the interactive elements within it. In fact, Google Analytics’s Goals section has a complete subsection dedicated to helping you track these modules. Calculators, information comparisons, or video plays can all be tracked separately—and obviously, the more users who interact with these features, the better. Feedback. As an additional measure, it’s a good idea to collect reader feedback regularly, as directly as possible. Conduct surveys among your readership and ask them what they think about your content, including your topic selection, the quality of your material, and whether they have any suggestions for future entries. Sometimes, the best way to get the information you’re looking for is to ask for it directly. There are a handful of special situations and strategies that should be taken into account, beyond the basics of measuring a content marketing campaign’s effectiveness. For starters, you may be using eBooks or whitepapers as dedicated, long-form, “landmark” pieces above and beyond your “typical” blog and content strategy. These are frequently offered as downloadable PDFs, rather than on-site forms of content, and because they take more time and investment, you’ll need to be precise when measuring how much potential value they hold. Downloads. The first metric you’ll want to track is the number of downloads your piece receives. This is a straightforward measurement that can tell you how interesting your topic is to your target audience; people generally won’t download a piece of content like this unless they have the intention of at least skimming it. If you notice your number of downloads decreasing from topic to topic, it could be an indication that your earlier work wasn’t as powerful or as effective as your audience thought it would be. On the other hand, if your download counts rise, it’s a sign of positive momentum building. Landing page visits and conversions. One of the best ways to increase the return on your content investment is to establish separate landing pages for each of your content pieces, so you can target your audience with pinpoint accuracy. For each of these separate pages, you’ll need to track metrics like page visits and conversions separately. Treat each landing page as if it’s a separate, “mini” website in its own right. You can also track statistics like time spent on page, or if you want to get fancy, you can use heat map technology to determine exactly how your users interact with the landing page itself (but that veers into web design and conversion optimization territory, rather than content marketing measurement). Different goals. I also want to point out that your whitepapers and eBooks will likely be written with different goals in mind than your foundational content strategy. Where your typical content strategy might revolve around getting people to your website or earning more conversions, these pieces might be linked to a paid advertising campaign to generate email addresses from potential leads, or you might even be selling them to your audience directly. Be sure to reevaluate what goals you’re setting, and how and why you’re setting them. You might also have a separate “wing” of your content strategy dedicated to help and troubleshooting content, guiding users through the use of your products and services, or otherwise lending them support in your area of expertise. This is an excellent strategy for customer retention, and is being increasingly used by major brands, but you’ll have to adjust how you measure and analyze your performance here. It’s all about utility. You don’t need to worry about inbound traffic and conversions here to calculate the value of your work; instead, the value here is all about utility. Was your content able to solve an issue that a customer had? Was your content thorough and descriptive? “Usefulness” is an ambiguously defined quality here, but you’ll need to evaluate it if you want to gauge your effectiveness. The more useful your content is, the better job it will do at keeping your customers happy. The visibility factor. Though usability and user feedback are important factors of success while customers are engaging with your material, your help and troubleshooting content won’t do much good if nobody knows they’re there. Be sure to promote the existence of this support section on all the typical content syndication and promotion channels you use for the rest of your campaign—and measure your effectiveness accordingly. Email marketing can be considered a branch of content marketing, since it’s usually either relying on content for the bulk of its promoted material (like with an email newsletter), or it’s providing the content itself. Accordingly, it’s a good idea to track your content performance over email marketing as well. Google Analytics can give you information about how many of your subscribers visited your site, but for more in-depth performance metrics, you’ll need to consult your email distribution platform of choice. MailChimp is a fantastic analytics platform to rely on here, especially since it can integrate with Google Analytics directly. Symbiotic relationship with content. First, note that there’s a mutual, almost symbiotic relationship between email and content in general. Your email marketing campaign can be used to promote and improve the interactivity of your content campaign, while your content campaign can attract new, more interested subscribers for your email blasts. How you treat email marketing depends on the ultimate goals of your campaign; for example, if you’re mostly focused on generating new traffic and sales, email marketing should be focused on driving all traffic and attention to your blog, and you should be measuring how effective it is at this specific task. Engagement factors. You’ll also want to look at engagement factors within the email itself (as a general rule). What types of headlines and content are causing people to open emails the most? How often are people interacting with or clicking on links within your email content? You can use heat maps and advanced analytics to determine these metrics, or stick to high-level factors like traffic flow, depending on how important email engagement is for your content campaign. “Next-level” traffic. You’ll also want to take a look at the traffic you get from email within Google Analytics. Segment this traffic out and look at factors like time spent on page and conversion rates; this segment of traffic can be considered to be in the next phase of your buying cycle. Because they’re subscribers, they’re already at least somewhat familiar with and interested in your brand. How does this change the way they interact with your content? Are they more or less engaged by it? This information can help you develop a more refined strategy, depending on whether you’re more interested in the generation of new brand awareness, or the capturing of already-interested customers. For the majority of this guide, the main tool I’ve been suggesting to measure and analyze your content campaign has been Google Analytics, but there are dozens of other potential choices, each of which offers an area of specialty, and some advantages and disadvantages that could make it a better option (or complementary addition) for your analysis. Our first stop here is Moz’s Open Site Explorer, which I made reference to earlier in this article. This tool specializes in evaluating your inbound link profile (and the profiles of your competitors, should you choose). Enter your domain and it will give you a breakdown of some key facts about your website, including your domain authority, page authority, and how many links you have pointing to your website. There are two main takeaways here. First up is your domain authority, which is a proprietary, predictive measure of how well a site will rank in search engines. The quantity and quality of your inbound links are the factors that influence your domain authority, and this should increase over time as your website gains more (and better) inbound links. Second, you’ll use this tool to evaluate how successful your content is at generating inbound links. Input any page URL (including individual blog posts) to see what types of links it has—and from where. Combined with the knowledge you have about your content topics and promotion efforts, you should be able to draw some logical conclusions about the link-drawing power of not only your individual content, but also your campaign as a whole. Free (mostly). If you’re only looking up information on one or two URLs, Open Site Explorer is free to use. If you want to expand beyond that, it’s reasonably priced. Evaluates authority. Google won’t tell you any measure of your “domain authority” or “page authority”, but this will; it’s just an estimate, granted, but it’s a solid and well-respected indicator of authority in the online marketing industry. Evaluates content power. When it comes to evaluating individual content in terms of its potential reach through shares and links, and allowing you to compare those metrics with those of your competitors, there aren’t any better tools. Allows off-site diversification. This tool can also help you probe for weak points in your off-site posting strategy by comparing your links with those of your competitors. Where are your competitors getting links that you aren’t? Can you replicate their successes? Are you relying on links from too many of the same sources? Have you diversified your efforts enough? Sprout Social is a tool that caters to, as you might imagine, social media marketing. There’s a whole host of functions to play with here. One of its main goals is to facilitate the effective management of your social media campaign, scheduling posts in advance across a wide variety of different platforms, but where it really stands out is its ability to facilitate research and analysis. The most important functions for your content analysis strategy are the social listening feature and the post performance feature. Through social listening, you’ll be able to put an ear to the ground and figure out what your followers are talking about—this is useful for seeing if your new topics have generated discussion, if your brand is increasing in visibility and reputation, or even just fishing for new topics in general. Social post analysis will help you learn how your syndicated pieces of content are performing on various channels. Allows social listening. Being able to tune into your audience’s conversations as they relate to your brand is a huge deal, whether you do it proactively or as a way of gauging your impact. Evaluates content performance. Though each platform offers analytic tools separately, here you can track your posts’ reach, click-throughs, and engagements all in one place. ScoopIt is a platform for content curation and automation, designed to help make content marketers’ lives easier. In addition to supplying lines of research, preparation, and organization to help you execute your strategy effectively, ScoopIt also integrates with a number of platforms to help you gauge each of your pieces’ impacts on your audience. You’ll be able to look up both quantitative and qualitative factors, such as visits, shares, and even engagements and customer behaviors over time. The platform is especially valuable because it attempts to save you that all-too-important step of taking meaningful data and turning it into something significant and actionable for your brand. It takes a look at all the different factors your content contains, how it performed, and makes suggestions for changes or future content pieces. Plan and measure a strategy in one place. Most content marketers end up scrapping together automation and efficiency services from dozens of different software platforms if for no other reason than so many platforms are available. ScoopIt helps you manage all these, plus measurement and analysis all in one place. Get actionable insights. It’s hard to take data and use it to form truly actionable conclusions. ScoopIt spares you the work. Adapt over time. ScoopIt also allows you a certain degree of customizability, giving you the freedom to adapt your strategy, approach, and analysis methods over time. KissMetrics is another popular content analysis platform (and the brand has an amazing content strategy that’s worth checking out). Rather than focusing on the content side of things, with statistics based on reach and influence, KissMetrics differentiates itself by focusing more on your target audience. How are your audience members responding to your content? What are they doing once they get to your website? Are you addressing their needs sufficiently, or is there more you can be doing to satisfy them? Truth be told, KissMetrics can be used for a variety of different online marketing functions, including conversion optimization and sales improvement. Its use as a content analysis tool taps only a portion of its potential, but it’s still highly valuable. With it, you’ll be able to see exactly who’s reading your content, what content they’re reading, and how they’re responding to it—in detail. Learn more about your audience. With KissMetrics, you’ll find out way more about your target audience than Google Analytics would be able to tell you. This is effective not only as an analytical tool, but as a research tool. Track customer behavior in detail. Furthermore, you’ll be able to learn more specifically how your customers interact with your content through features like heat maps. Cyfe has become popular due to its universal utility; it claims to be an “all-in-one business dashboard,” collecting information from dozens of different areas to help you understand your marketing, branding, and overall online presence in one place. It offers infrastructural tools, such as time tracking and management, and plenty of widgets and customizable features so you can build out the platform to be whatever you need it to be. From a content tracking perspective, this is advantageous mostly because you can use it to track as much or as little as you want it to. You won’t find any data points here that can’t be tracked elsewhere, and it doesn’t specialize in any one feature or function, but the convenience factor can’t be overlooked. Cover anything. You can track almost any business metric you can think of using this platform, which is extraordinarily convenient. Customize to your liking. If you’re even moderately tech-savvy, you’ll be able to turn this platform into any kind of performance tool you need. You’ve probably heard of Bit.ly before, but you most likely recognize it for its core functionality: serving as a link shortening tool. This feature is still as popular and as useful as ever—you can head to the site and, for free, enter any URL to get a shortened version you can then do anything you want with. It makes managing and sharing lengthy URLs much easier, and remains an important tool for content promotion and syndication. However, most people don’t realize that Bit.ly also offers some surprisingly in-depth analytics about user behavior related to those URLs. Once you’ve created a custom URL for a page of your site, you can use that URL signature to trace things like traffic and audience type. Free (mostly). You can use Bit.ly to create shortened URLs for you, but if you want custom shortening or full access to their analytics platform, you’ll have to pay for it. Track custom links. The ability to create and track custom links is especially beneficial for content campaigns targeting different audience segments, or those running AB tests for visibility and growth. The last analytics platform I’ll mention is Clicky. Clicky is a somewhat simple-looking dashboard that offers a ton of information about your website, your visitors, and your content performance. In addition to monitoring important factors like site uptime and audience composition, Clicky lets you monitor various user actions and interactions with your site, and can help you easily visualize the popularity and performance of your content. Where Clicky specializes is the real-time projection of metrics. Google Analytics offers something similar, but Clicky can help you see how your site visitors are engaging with your material as they engage with it. It’s an especially impressive demonstration if you need to prove your campaign’s effectiveness to an outside party. View real-time metrics. The big unique benefit here is the ability to view site interactions in real-time. Use heat maps. Heat maps aren’t a default feature in most of the analytics apps I’ve mentioned so far, but they’re highly useful in evaluating user behavior and disposition. Monitor links. Clicky also helps you monitor your off-site content and link building campaigns, much like Open Site Explorer. As you’ve seen, measuring and analyzing the quality and effects of your content marketing campaign isn’t exactly straightforward. There are thousands of potential variables, and the ones you need to examine for your campaign won’t necessarily be the same for anyone else. Measuring effectively depends on having a clear vision, with specific goals, and a general understanding of what “success” means for your campaign. If you need help getting started with a campaign from scratch, be sure to check out my in-depth guide on planning and launching a content marketing campaign. Following the advice I’ve presented in this guide, you should be able to effectively track countless metrics important to the health and longevity of your content campaign, calculating your overall ROI and targeting key areas for development and improvement. The keys here, as with most marketing campaigns, are consistency and effort, so keep working hard toward measuring and achieving your goals.